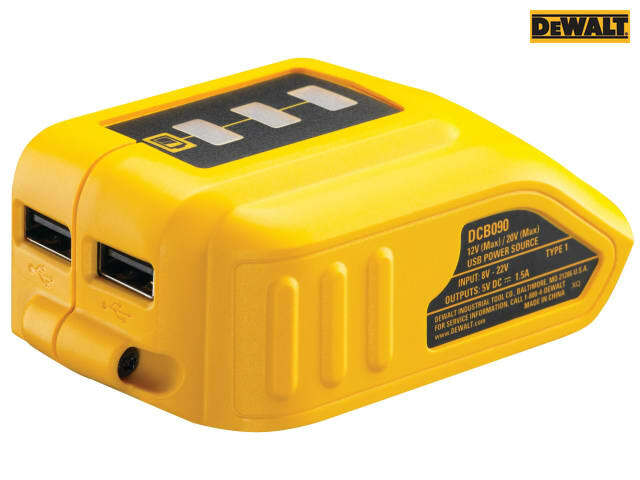 The DEWALT DCB090 charger transforms your XR battery into a portable charger with two USB outlets to allow charging of a wide range of small electronic devices. 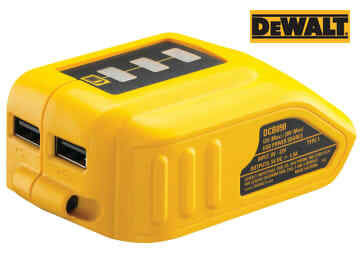 It has multi-voltage compatibility with 10.8, 14.4 and 18 Volt XR battery packs. Also fitted with a bright and highly visible state of charge indicator. Voltage: 10.8, 14.4, and 18 Volt.